Waste is a big topic in these parts lately… with the Squamish landfill bursting to the seams and Whistler currently paying big bucks to transport their waste to the U S of A, I reckon there’s a need for a conversation on waste. It permeates into our wasteful, throw-away society where media feeds us ads telling us to buy more and more and promotes one-use products. Which is why the concept of zero waste is so appealing to people who rebel against mass media’s messages. Just ask Jen and Grant – a couple from Vancouver who decided they had enough ‘stuff’ and being slightly competitive, embarked on a year-long contest to see who could produce the least amount of waste. The Clean Bin project wasn’t about the race, of course (but Jen did win hands down) but more importantly, it was a journey of awakening, forcing them to look at their consumer habits and radically change how they lived their lives. They created an award winning film on their experiences – check out the trailer or their website: www.cleanbinmovie.com. I had the privilege of meeting Jen when she came to present the film at Quest University in Squamish. As I predicted, she is as bubbly and passionate in person as she is on the big screen and she tells me how once they started zoning in on zero waste, they couldn’t stop and now they work hard at spreading the word. She is definitely a walking role model for an achievable zero waste lifestyle and her blog is chock full of amazing make-it-yourself directions and tips. Sure it’s not for everyone, but then again, maybe it is. Don’t we all owe it to our planet to think more about our waste and our consumer choices? Should we not all aim for a zero waste day if not a year? Slowly those ingrained habits can be changed and once consumers get on board it won’t be difficult to pressure big businesses to buy into the concept too. Just this past weekend Squamish held its third Re-Use-It Fair where the idea is simple – dump off your unwanted stuff and take anything home you want, for free. It’s recycling, reducing and re-using at its best and the idea is catching on. Brennan Park arena was packed with people and stuff exchanging hands during the five hours it was on. Left-overs were donated to charity or recycled or worse case, sent to the landfill. 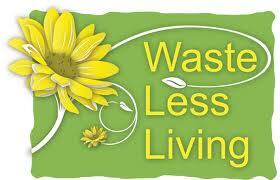 Ultimately it all comes down to choice… so I encourage us all to pause in our busy lives and choose to re-think waste. It’s actually easier than you may think. A competition where less is more. A couple attempt to stop buying stuff and produce zero waste for a year. A comedic documentary with a positive approach to the usual doom and gloom environmental film.